I cleaned up Christmas quickly. In fact by December 30th, it looked like Christmas had never happened in my house. Except for a few leftover paper chains and lights that we never got around to putting outside. Usually I like the clean-up because I am so over the holidays and my house suddenly feels bigger. But this year, I admit, it felt a little empty. A little less full of joy and light. 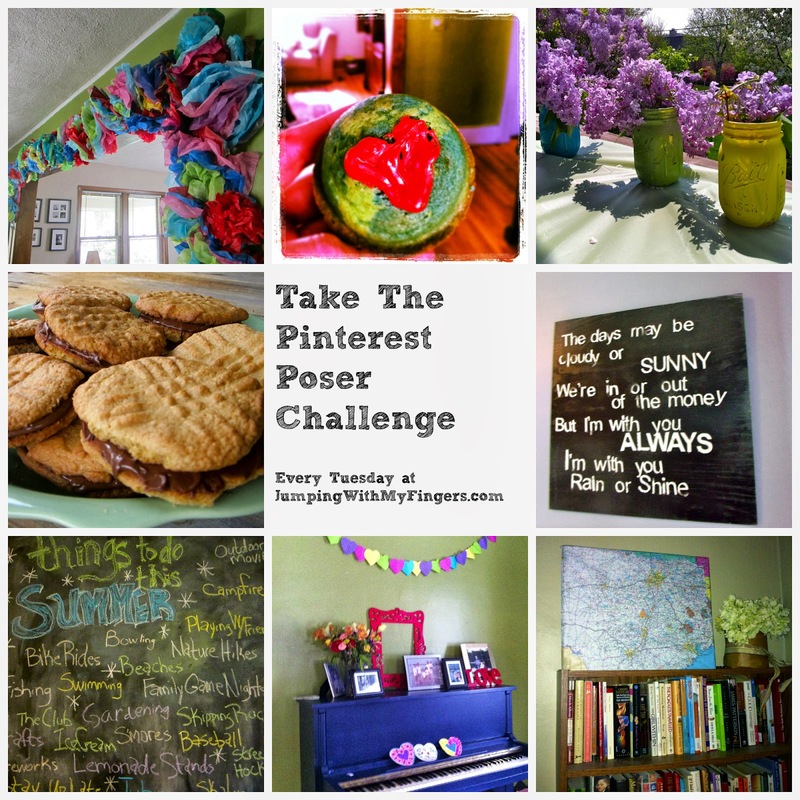 But never fear, just in time for a Pinterest Poser Challenge*, I found a way to bring back the light. That's right folks. Inspired by this post on Pinterest and a picture in this book, I created a weird little lit up garland that is my new most favorite thing. I'm feeling all kinds of joy and light in my little writing nook/kitchen/room where I spend most of my life. I grabbed the lights that have been sitting on my counter since the day after Thanksgiving, poked holes in some cute little Dixie Cups, put the lights through and hung them over a window. The whole project took me 10 minutes. Some people might tell you to measure and mark with an X where you want to poke the hole in the cup. But that sounds like a lot of work. I just jammed a pencil through the cups half-hazardly. It was actually a little therapeutic. I love the view out of my window. I love the way it looks with the lights plugged in and without. My new happy space. 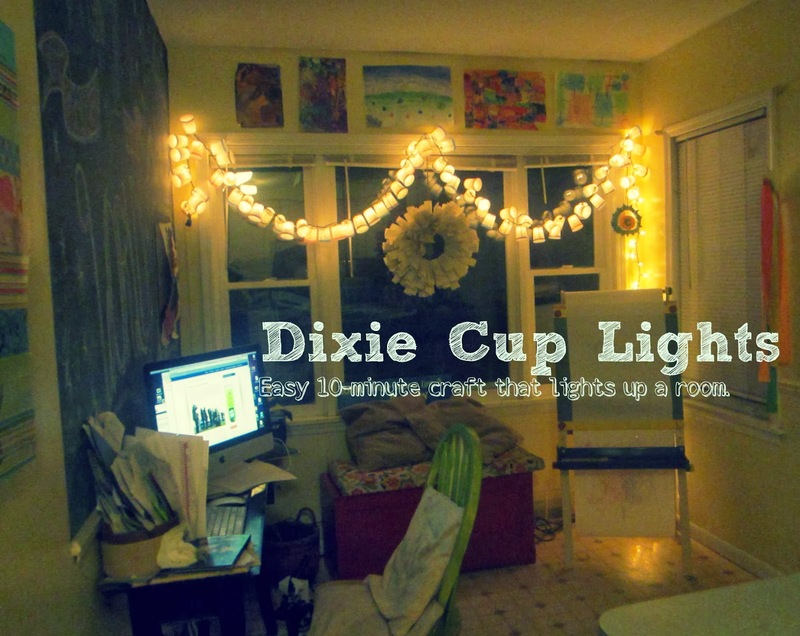 I like the way it turned out, I might decorate the whole house with Dixie Cups. Oh boy. 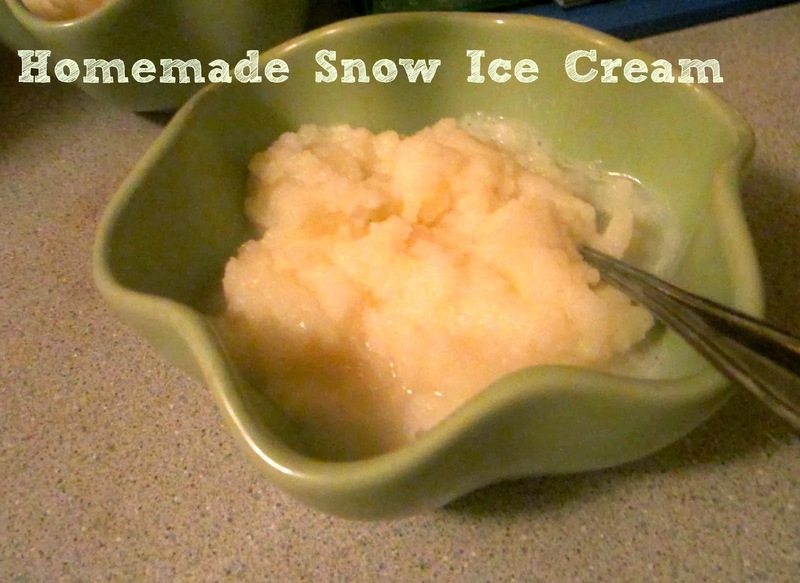 Another fun and totally cheap (um free) thing I did based on a Pinterest find was make snow ice cream. What else do you do during a Polar Vortex, right? It's simple. Brave the blustery winds to collect freshly fallen snow or find someone in the house that will. Luckily those blustery winds have created drifts that are almost to your doorstep so you don't have to venture too far. My snow gatherers all bundled up. Then all you do is mix 1 gallon of snow, 1 cup of sugar, 2 tablespoons of Vanilla Extract and milk (add as much as you like to make the consistency you like). Be sure not to add too much milk because then you might end up with frosty snow soup. We cut the top off this milk carton to collect the snow. Eat and enjoy right away. Have you made anything on Pinterest lately? Any holiday projects? How are YOU surviving the Polar Vortex and all the kids' snow days? Share what worked and what didn't, leave a comment here or on my Facebook page. Oh my gosh, those lights are so stinking cute! And snow ice cream is one of my very, very favorite things about my childhood. We've made it a couple of times here, too! It's the best thing about snow, frankly. The lights are so easy and seriously my new favorite thing. 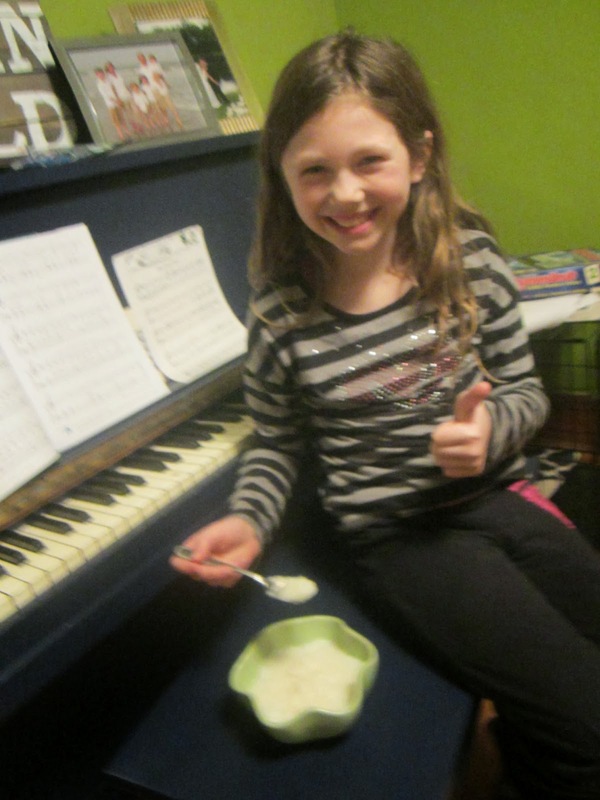 Snow ice cream is so easy too! And the kids were very impressed (at least the younger ones).